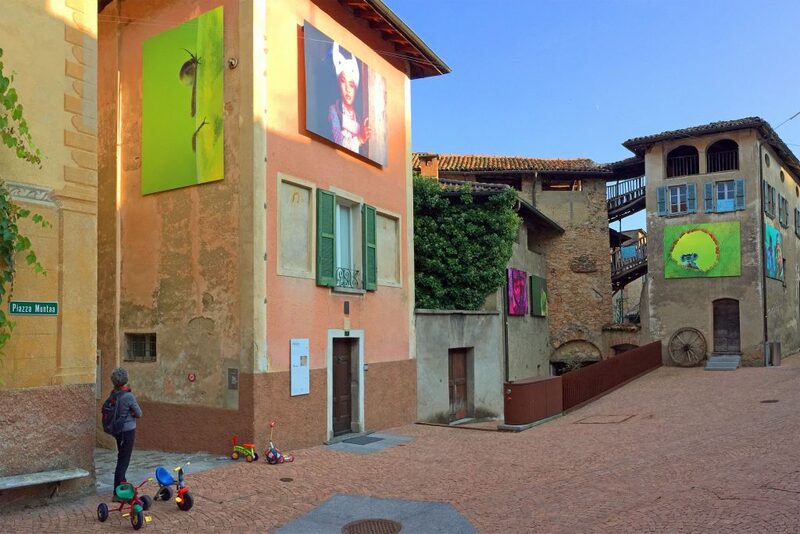 Piazza Montàa in Carona Switzerland, a starting place for exploring art and the village. 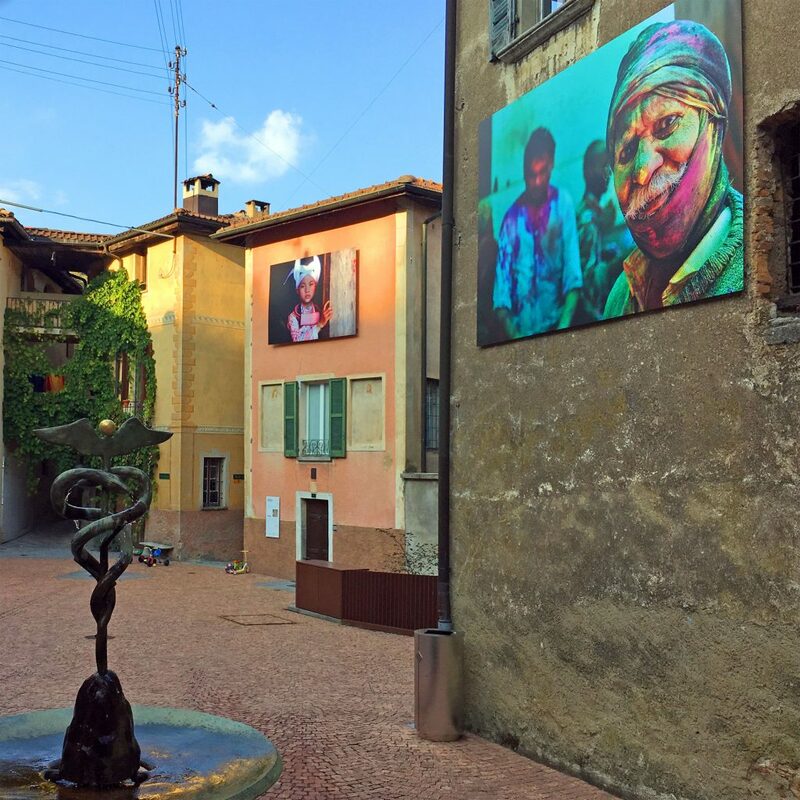 The small village of Carona in the canton of Ticino Switzerland is home to an enjoyable outdoor art exhibit during the summer of 2017. Carona IMMAGINA is a photography exhibition organized by Galleria LaLoggia in Carona. There are three pathways within the exhibit which serves a secondary purpose (intended or not) of enticing visitors through the small paths and alleys of the town – providing a simultaneous walking tour. ​Two of the itineraries are dedicated to photographers Ettore Silini and Alessandra Meniconzi. The third itinerary contains photography of students of the CSIA art school in Lugano. Piazza Montàa colorful photography pops from natural tone walls. Carona, dating from 926, lies just south of Lugano approximately midway between Monte San Salvatore and Morcote on the small pennisula jutting into Lago di Lugano. It has a Mediterranean feel as does much of this region of Switzerland. During Carona IMMAGINA the mundane mixes with the exhibit. 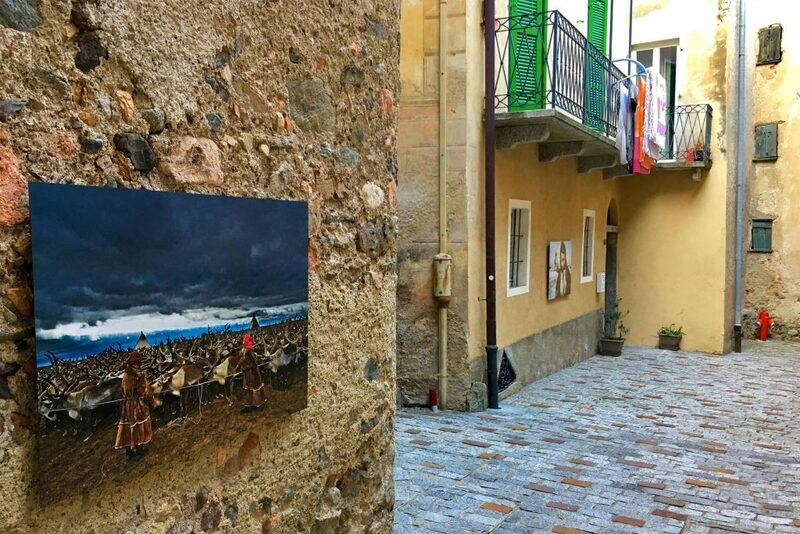 The photography exhibit follows along several narrow streets including Via Maistra, Via del Centro, and Via Montàa. The mixture of exhibit and the common experience of life in Carona is masterfully accomplished. 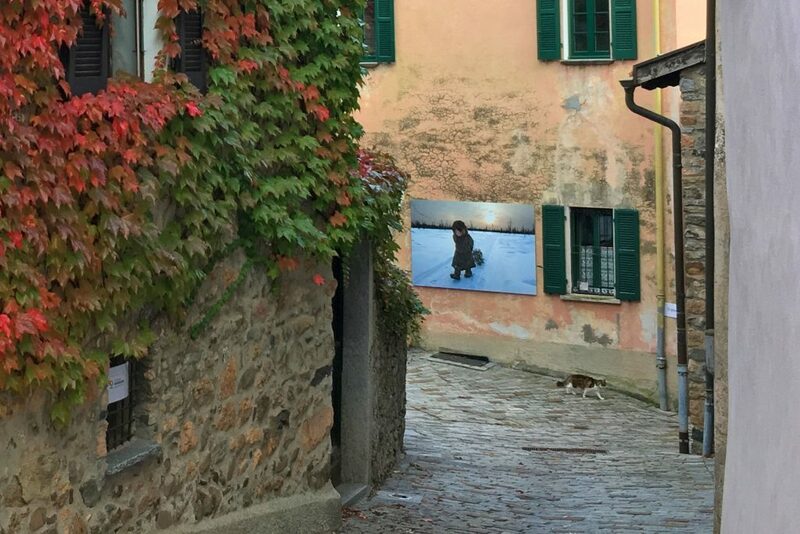 A surprise awaits around the corner – both from the exhibit and the picturesque town. The old village is a perfect surrogate for a gallery with different display rooms as the narrow streets turn corners and vary in length and width. The walls of Carona serve as a perfect canvas for Carona IMMAGINA. 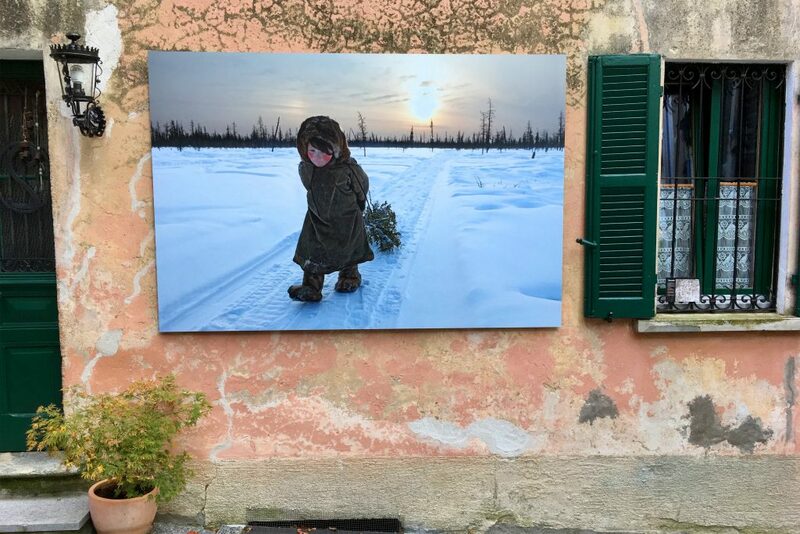 Particularly striking are the photos from Siberia and Mongolia which somehow seem at home on the warm walls of Carona despite the cold and winter of the photography.